Why? Please explain your position. Cali just explained the mechanisms and why we are testing the possibility. felltoearth wrote: Why? Please explain your position. Cali just explained the mechanisms and why we are testing the possibility. You're merely asking me to repeat myself then. Any physical life and attributes thereof that has evolved here is the culmination of Earth's dynamism and generally warm climate over a very long period of time. Why then should we be expecting life forms similar to those we might find here on another planet/moon that is nothing like the Earth? Last edited by jamest on Jul 09, 2018 1:12 am, edited 2 times in total. I also have another question regarding the 'simple' life forms we find in deep waters near volcanoes: Why do we think that these life forms have evolved directly there, as opposed to being mutations of things which evolved at the surface in the distant past? Think???? not reasonable??? ...once again your uninformed opinion is not a substitute for acquiring the knowledge to at least understand the variables involved. There are reasons in physics that lean toward carbon based life forms and the building blocks are common in the universe. Unless you read the links supplied, and show you are learning something that informs you then you will be, as in the past, quickly written off. An opinion not supported by evidence is worthless. rather than cut it open and find out and experiment. for thousands of years. They thought it was "reasonable". Wait a minute ... these doctors were operating in this mode two decades after the emergence of Koch's Postulates? Duh. Though of course, we now know that Koch's Postulates are difficult at best to apply to viruses, and would have been impossible to apply thereto in 1918, but with modern techniques, you can still give it a shot. Even though attempts to produce better criteria, such as the Bradford Hill Criteria, have been made subsequently, Koch's Postulates are still useful in the right circumstances. Meanwhile, back to microbes on Enceladus ... while admitting that using the one data point of Earth isn't the most rigorous way forward, the problem is that at the moment, it's the only avenue open to us, until we alight upon other data points involving demonstrable living organisms found elsewhere. It's because we're interested in finding those data points, because said data points will illuminate our understanding of numerous questions, that effort is being expended in this direction. Said effort is lent weight by the fact that biologically important molecules are not only found on Earth - a good number of them have been detected spectroscopically residing within interstellar gas clouds. Furthermore, experiments replicating conditions in those clouds, have demonstrated that other important biological molecules can be generated within, using the existing molecular feedstock, courtesy of ultraviolet photolysis. Stars, of course, generate a lot of ultraviolet light, and that ultraviolet light can have long-range effects. Then of course we have the chemical analyses of various meteorite samples, which have demonstrated the presence of a wealth of biologically important molecules residing therein. At the moment, we're constrained by the fact that it takes years for our space probes to reach even relatively close objects such as Enceladus, and that we have to expend much diligent effort planning those missions beforehand. Heading off to somewhere like Gliese 581 and scanning its planets for life forms isn't an option at the moment, because that system is 20 light years away, and our current best space probes will take about a quarter of a million years to get there. However, the single data point of Earth has still provided us with much useful information on what to look for. Such as, for example, the fact that here on Earth, carbon uptake by living organisms is isotopically skewed in favour of 12C, courtesy of the operation of photosynthesis. Photosynthesis isn't likely to be a driving force for any life forms on Enceladus, buried under tens of kilometres of ice, and therefore residing in total darkness. But, any other isotopically skewing biochemistry that arises there, immediately provides scientists with the appropriate instruments with a huge clue as to what's going on. For those interested in the technical details, there's an entire book devoted to isotope fractionation in biological systems, and the chemical reactions where this takes place to a measurable extent. 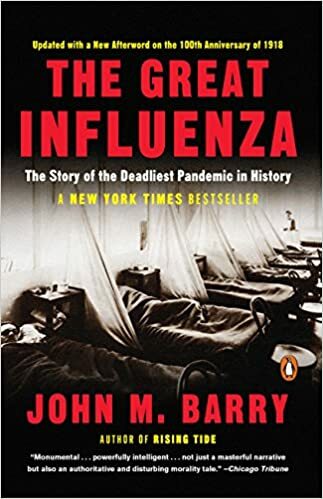 One of the interesting things the book covers off is how advanced the Europeans, notably the Germans were over the woeful state of American medicine and research and medical training. I think you would very much enjoy the read Cali. Just as I suspect you'd enjoy that book on biological isotope fractionation. Your question suffers from an imprecise (or rather, completely open) definition of 'similar'. To respond to your question about why we haven't found anything on Mars, yet, think about why we haven't found the wreck of MH370 on Earth, yet. The South Indian ocean is more accessible than Mars, when you really think about it. Think about what the panspermia hypothesis implies as to how common microbes are in debris that must have traveled across interstellar distances. Think about how the surface of the earth was completely molten at several points in earth's early history, with temperatures that decompose organic material to simple inorganic molecules and methane. That fact alone suggests that panspermia must have occurred subsequently to the main process of planetary accretion, implying a lot of intricate timing. If panspermia is an interesting hypothesis, it is interesting only as a philosophical speculation that can be treated as marginally testable. Abiogenesis is not a less-difficult hypothesis to test, but at least it doesn't depend on the long odds of finding microbes on other bodies in the solar system as well as on the longer odds alluded to above. Even if we don't eventually find microbes on Enceladus, we will find other interesting things to think about. Panspermia flatters the sensibilities of those who wish life to be common in the universe. The latter puts a crimp in religious notions of special creation, an idea that is more outlandish than panspermia only because it suffers fatally from not being testable. The best one can say about panspermia is that if it happens, it must be possible. Thereafter, it does nothing to assist anyone investigating abiogenesis. Even if microbes, when found elsewhere in the solar system, turn out to have different biochemistry than terrestrial biota, it would not rule out multiple abiogenesis events in the cosmos. It would just lengthen the odds for believers in panspermia and give interesting insights into how different one can be. How does the theory of Panspermia add to the discussion on the possibility of microbes on Enceladus? Cito di Pense wrote: Think about how the surface of the earth was completely molten at several points in earth's early history, with temperatures that decompose organic material to simple inorganic molecules and methane. ...except it doesn't. I thought you knew your chemistry. Do you know what the temperature of molten silicates is? 1100 or 1200 °C. In case you know your chemistry, which organic macro-molecules are stable at those temperatures and pressures of less than a few bars? Ammonia is not an organic macromolecule, assuming it's even stable to large concentrations in a reducing atmosphere at those temperatures. You're the purported chemist. You can look up the equilibrium constants for me because your impotent jeering is not enough to motivate me to do it. I'm guessing you're still trying to figure how primitive life might be possible on the surface of Venus. The point is that if panspermia is going to be considered an interesting alternative for how life arose on our planet, you might as well consult the research on abiogenesis, or else the arrival of the panspermia was timed just right. There's another timing problem with panspermia, of course. Namely, that meteorites and comets typically move through space at speeds between 15 km/s and 50 km/s. At those speeds, you're looking at about a quarter of a million years travel time, just to cross the distance between here and Alpha Centauri. That's rather a long time for microbes to survive in interstellar space. If, on the other hand, panspermia is limited to molecules instead of microbes, the above timing problem is less acute. But could still have an impact with respect to such phenomena as ultraviolet photolysis. 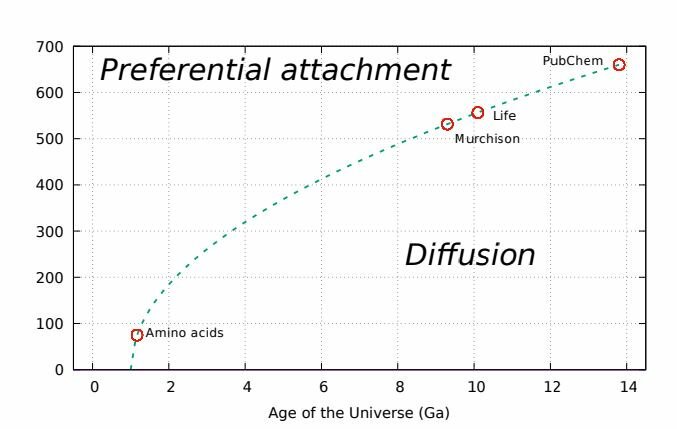 A new measurement of chemical evolution suggests that amino acids filled the early universe some nine billion years before life emerged. That has important implications for understanding the origin of life and attempting to re-create it in the lab. I'm guessing that you don't know the difference between decomposition and dissociation. Try harder if you want to impress us. Calilasseia wrote: There's another timing problem with panspermia, of course. Namely, that meteorites and comets typically move through space at speeds between 15 km/s and 50 km/s. At those speeds, you're looking at about a quarter of a million years travel time, just to cross the distance between here and Alpha Centauri. That's rather a long time for microbes to survive in interstellar space. We really would not know, since the microbes may be in a very stable cystic form. Some life forms on earth can survive for very long periods in a type of suspended animation. Hadesarchaea for instance. I suspect that where biogenesis actually occurred in our solar system may forever be unsolved as it could be cross fertilization between Mars, Venus or earth as the "original". Well, it looks like you're going to be all about vocabulary and terminology, juju, instead of about chemical dynamics. That's okay, because pedantry is a lot easier than chemical dynamics. At the temperatures we're talking about, pedantry loses, although you could try to make your case with principled dynamic or stability arguments instead of your usual vapid catcalls. Well, it looks like you're going to be all about vocabulary and terminology, juju, instead of about chemical dynamics. That's okay, because pedantry is a lot easier than chemical dynamics. Clearly you are out of your depth here. Keep to the knitting pages, where you won't embarrass yourself. Your trolling is too obvious, now, in an argument you're raising that only concerns terminology. If you gave an account of why you think decomposition is the only correct term, here, I can give you a citation showing that dissociation is also used. You're going to have to put up or shut up, and you'll do the latter, because you're trolling with nothing but pedantry at your service. I'd think you'd sniff your own embarrassment, but it's no skin off me if you don't. Cito di Pense wrote: You're going to have to put up or shut up, and you'll do the latter, because you're trolling with nothing but pedantry at your service. It will probably surprise you, but in science the proper terminology needs to be used. Call it pedantry, if you like, but it's a poor excuse for your ignorance.